Two Guatemalan nationals who have terrorized a western community were convicted today. Jeronimo Cortez Gonzalez and Marcos Javier Chiquin Molina have been sentenced to five years for two counts of robbery, aggravated assault, conspiracy to robbery, and unlawful imprisonment of several employees at a resort. The conviction stems from a 2002 incident at Black Rock Lodge. 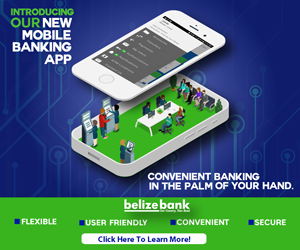 According to court reports, Molina, forty-two years old and Gonzalez, forty-nine years old were sentenced late this evening by Senior Magistrate Sharon Frazer. Gonzalez was found guilty of aggravated assault upon Julian Sherrard and he was sentenced to one year. Molina received five years for robbery, and one for aggravated assault. Though both men were found guilty of conspiracy to commit robbery, their five year sentence will run concurrently with the robbery sentence. The duo was also found guilty of unlawful imprisonment of several persons whom they had held hostage for which they will serve an additional two years. Apparently they were already serving a five year sentence for a 2009 robbery, and the current five year term for the Black Rock robbery starts today. Both men were unrepresented and pleaded not guilty to the offenses. 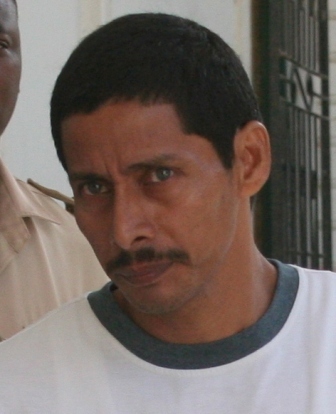 The men still have other robbery trials pending for other incidents in Cayo. This is what happens when we allow these subhuman scum to come into our country unchecked. Makes me wonder how many of these people are now legal residents because the political powers that be wanted votes for their so called democratic elections. Real Belizeans need to wake up and realize that we are being marginalized and our votes and our needs do not count for anything anymore. Take a simple example like this when you go to a government hospital take a look around and realize the demographic of people waiting to be attended to and then you will realize why our health system is so burdened. The little devils! Man, they need to be treated rougher, as it becomes too comfortable in our country for them. The prison terms are too short for my taste, but at least they are something. Our border villages are unprotected like lambs waiting for the wolves. I like the idea of training and arming villagers to defend themselves, because police and BDF cannot get to them in time. We must adapt to the fact that we are under perpetual invasion from the west, and it will always be so until our lambs grow sharp teeth. 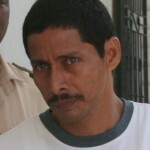 I say hang them why should we pay for these people just hang them let the world see we won’t tolerate thiefs in Belize. Ooooo I forgot we won’t bring back the hanging penalty because if we do all the udp ministers would have to be hung. We need to really start to look at the real picture here. Imagine a so called justice system where a person is robbed in 2002. And not get closure until 2012. These persons still came out and whilst on bail committed another known robbery in 2009 for which they were again convicted. they were given the minimum 5 year sentence. Just imagine having 3 known robbery cases infront of the court whilst previously already convicted. The other thing with the prison system is that 5 prison years only represents 2 1/2 normal years. Why are the judges and magistrates not giving consecutive sentencing? Time to stop this minimum and concurrent mode of sentencing. 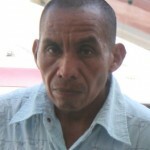 u see for hiring ilegal aliens, there r soo many borned belizean without a job. 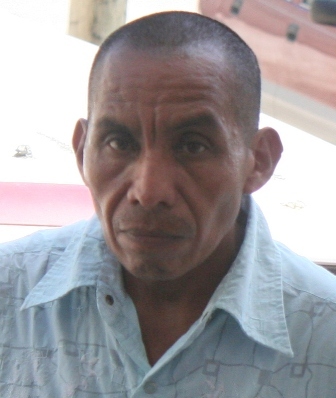 u see what happens for hiring ilegal aliens- they’r borned belizean that are without a job.. I can`t blame them for behaving like that, it is OUR GOV that gave them the authority to do as THEY like. For a vote we are trampled on like by these low down and low rated humans !!! Our GOV is to f&%7n blame !!! Take a look at the Guatemalans in the Cayo District , all driving taxi and do as they please with the traffic !!! They are so happy with their new found land, power given to them by the SAN IGNACIO town board !!! Thanks San Ignacio town board for making spanish speaking scums wearing caps trample over Belizeans. Elections will come again, you bet that your time is over !!!! ENJOY IT`S LAST MOMENTS !!! PRISOM FARM … aka … THE SUSTAINABLE REHABILITATION CENTER. THERE THEY CAN EARN THEIR KEEP and CONTRIBUTE TO SOCIETY at NO COST TO TAX-PAYERS. SMART customer wins a free trip to U.S.A.